If you want to stay protected from hackers while you use public Wi-Fi, Saturn VPN can be a good choice for you. It encrypts your data so that it travels through a secure tunnel. Saturn VPN is very flexible with their payment options and offers 5 plans – monthly, 3-monthly, 6-monthly, yearly, and 2-yearly. All these plans come with a 3-day money back guarantee. If you’re not happy with their services, you can email them, and they’ll return your money back – the refund policy is pretty clear. This might mean a red flag for some users. While they say that they won’t monitor user sessions, they’re willing to do so if approached by a legal entity. If you’re a journalist or a whistle-blower, this isn’t the right VPN for you. Add this to the fact that they are based in the US, this VPN isn’t the best option to protect you from the government. However, if you just need a VPN to stay safe on public Wi-Fi’s or to bypass network restrictions of your university, you can try it. They have a 1-day free trial, and you need to contact them for that. Just email them, and they’ll mail you back the login credentials. They support many protocols including PPTP, L2TP, Cisco VPN, SSTP, and Open VPN. Since OpenVPN is the strongest VPN protocol, you should connect using it if you’re looking for complete security. Their prices are really cheap, and the 2-yearly deal will bring down the costs to about $1.40 per month. Saturn VPN has 31 servers in 6 countries. 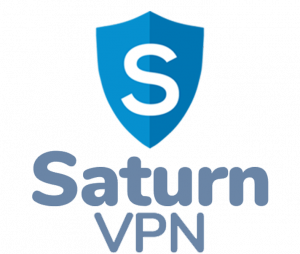 Saturn VPN works on all major platforms, including Windows, Mac, iOS, Android, and Linux. While they don’t have apps, but they do offer configuration details that you can use to make the VPN work on your device. There are step-by-step instructions and screenshots on the website that will help you with the configuration. There are different instructions for different protocols. If you’re looking for the most secure connection, try installing OpenVPN. The speeds are slow, so you can’t really use it for streaming HD videos. It’s a basic and decent VPN that can help you with regular browsing.